Srinagar: Panic and fear gripped the Kashmir Valley on Sunday after rumours spread that some children had died after being given polio drops in Anantnag district. Jammu and Kashmir health department officials denied the rumoured deaths in Anantnag or Pulwama districts on Sunday. “Miscreants are spreading rumours through social media networks like Facebook and Whatsapp saying some children died after being administered polio drops in south Kashmir,” a senior official said. 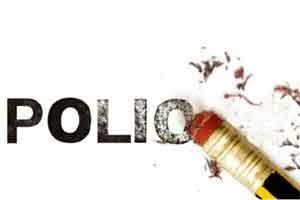 “We assert that no child has died anywhere in the Kashmir Valley due to administration of polio drops. “Parents are requested not to heed these rumours which have no basis at all.” But despite the denials, scores of worried parents who had got their children vaccinated against polio on Sunday rushed to hospitals here and in other towns of the valley. This led to traffic jams in Srinagar. Authorities have requested radio and television stations to air the official denial to calm the situation.